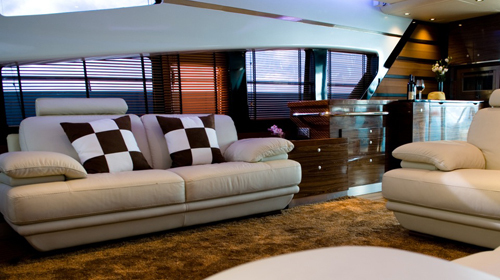 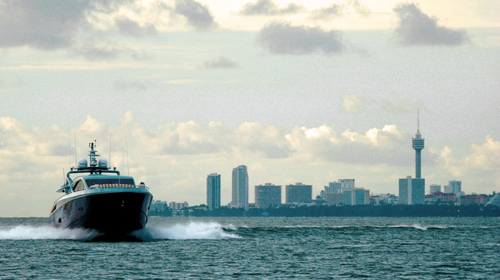 M/Y Golden Boy was built in 2012 with an exceptionally stylish design. 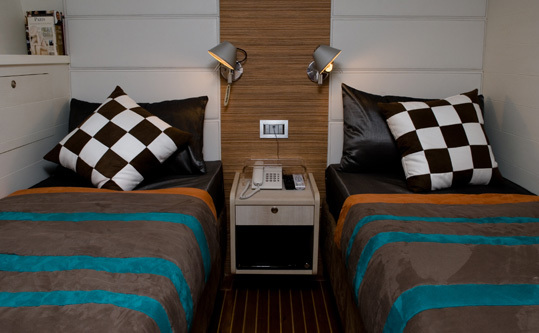 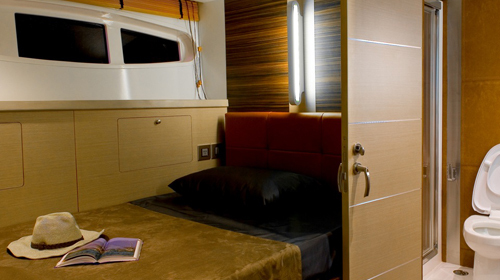 Golden Boy boasts comfort allowing guests to fully relax from the moment they step onboard. 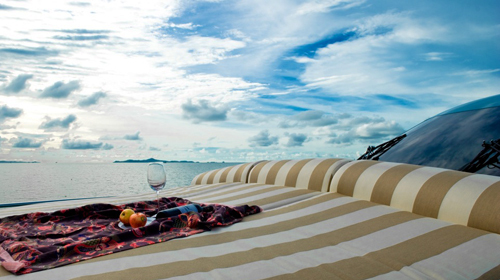 This motor yacht offers an amazing array of features, a fantastic deck with lounging, dining and sunbathing facilities. 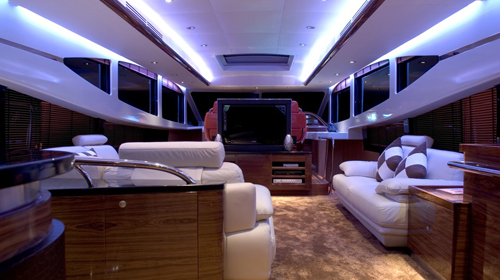 The interior is sleek and elegant in beige tones and rich woods. 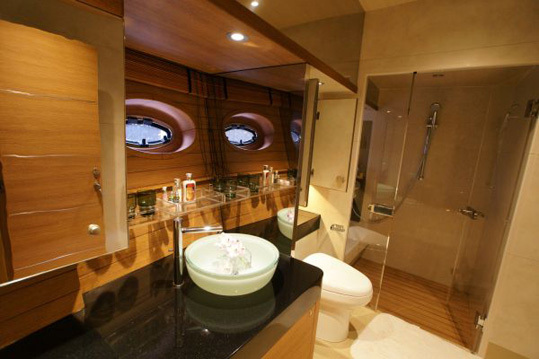 Golden Boy can welcome up to 6 guests in 3 large separate cabins, each equipped with the latest in entertainment and large private bathrooms. 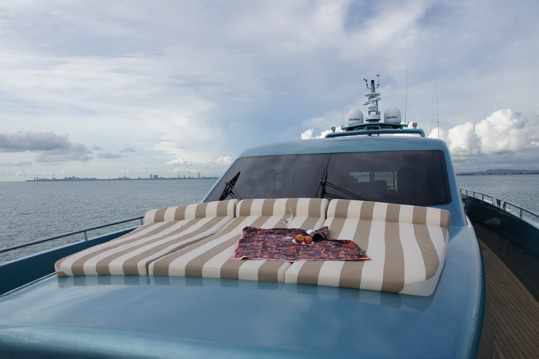 Golden Boy's speed and sporty appointment makes her perfectly suitable for day/sunset cruises and for longer charters in comfort for up to 6 people. 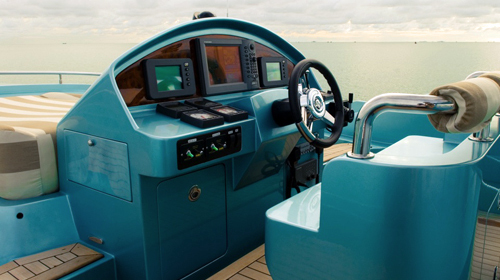 A stunning yacht for those wishing to see and bee seen. 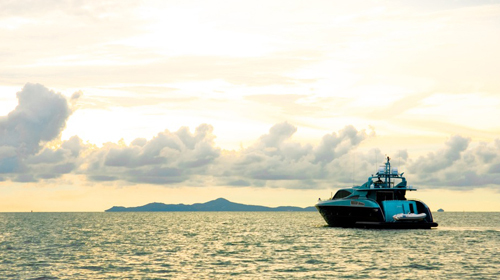 Based in Ocean Marina just south of Pattaya. 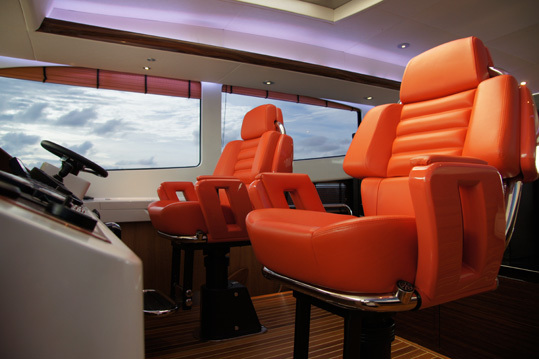 Water sports equipment includes a Williams Jet Rib, wakeboard, water-skis, inflatables and kayaks.